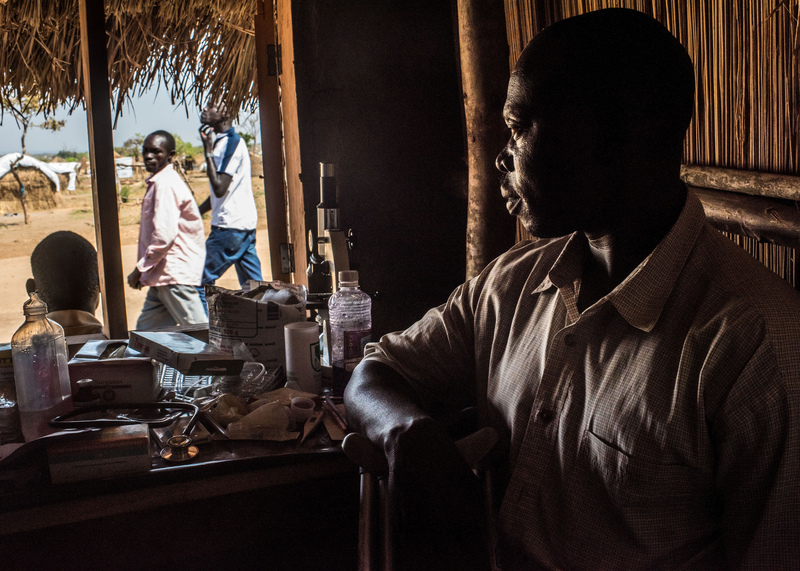 Last August, Joseph Malis and his village came under attack during the ongoing conflict in South Sudan. After the killings, Joseph knew the time had come to save his family. That same day, he piled fifty members of his extended family (including baby Flora, pictured) into a truck and headed south for the Ugandan border. There was little time to gather belongings, and what they did have they lost on the way. 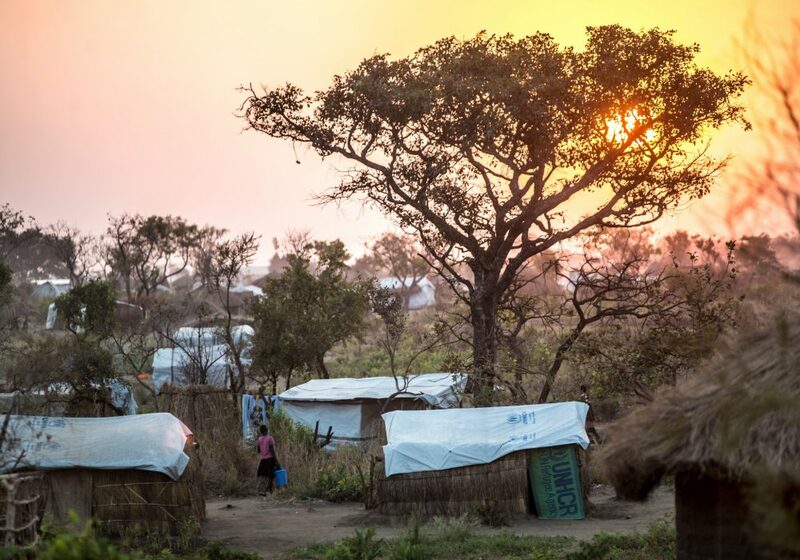 When they eventually arrived in Bidi Bidi refugee camp, 40km inside Uganda, they had nothing. Now they have a simple home, a plot of land to grow food, and most important of all, safety. 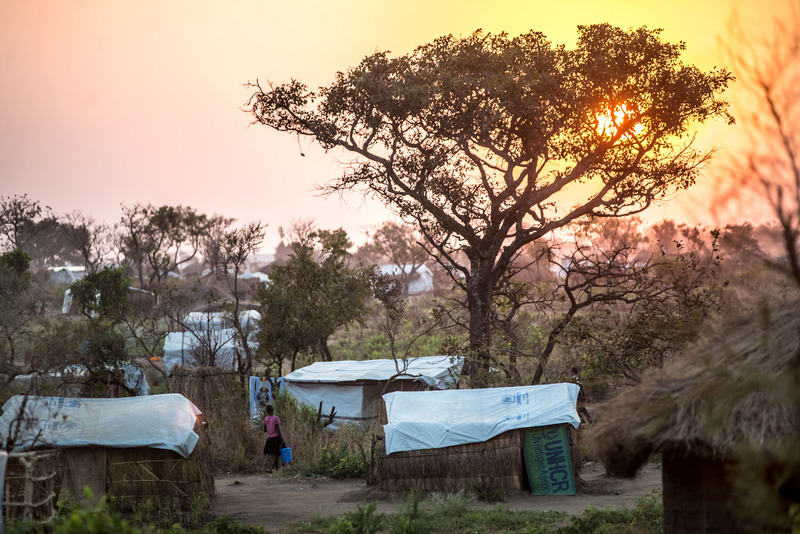 Joseph and his family had escaped one of the most war-ravaged, desperate places on earth. 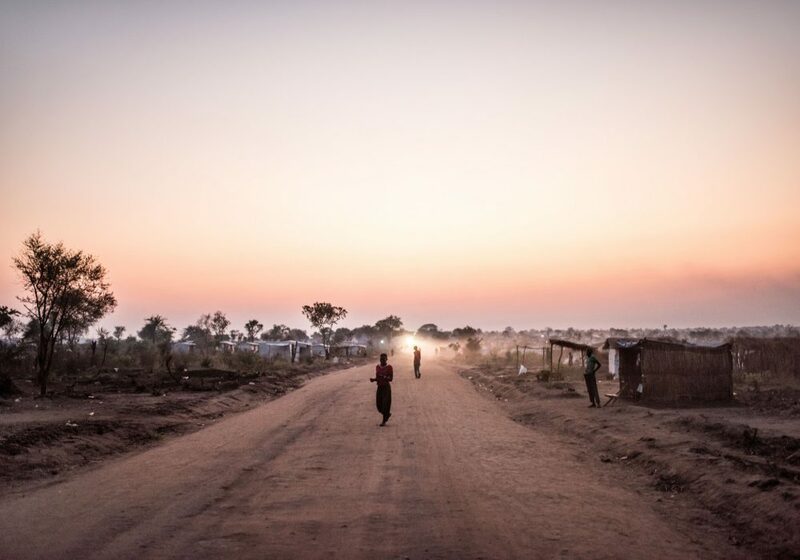 South Sudan is the world’s youngest nation, having won independence only six years ago, yet it is a deeply militarised state riven by deadly political infighting. 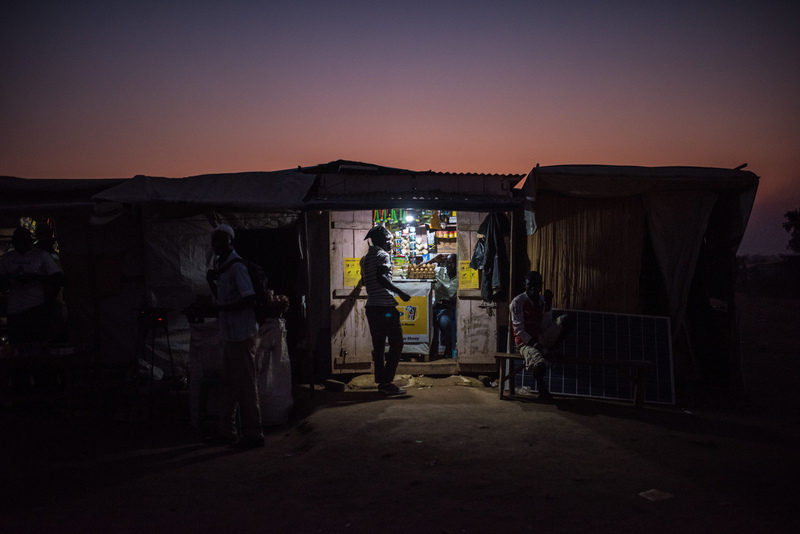 In July 2016 violence flared yet again in the capital, Juba, shattering a fragile peace accord, and quickly spread to surrounding areas. 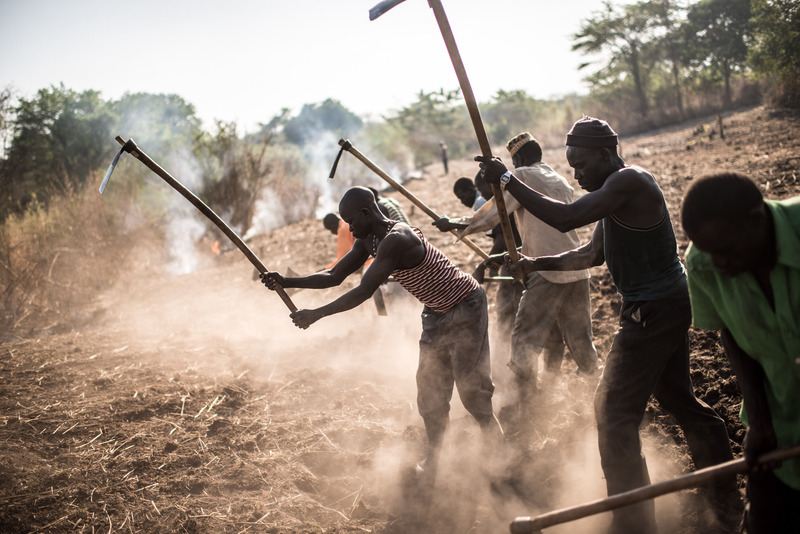 Rival militias have been roaming the countryside, terrorising the population and killing indiscriminately. 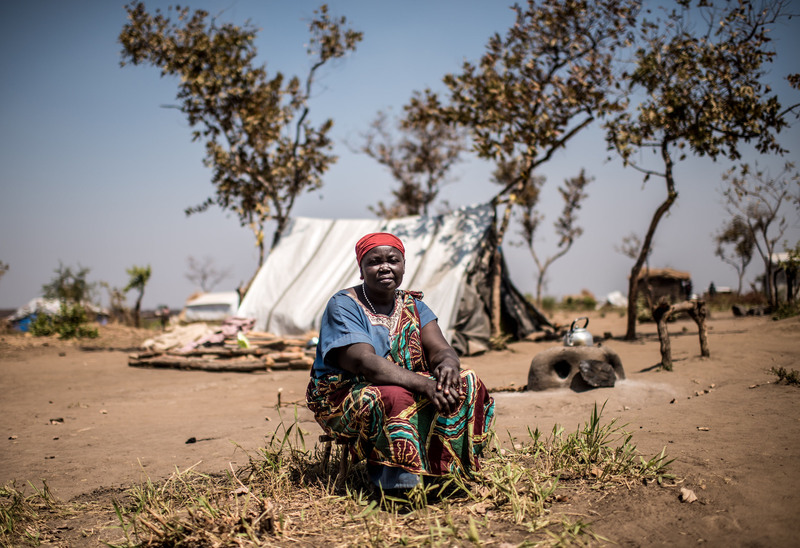 Survivors attest to mass atrocities. 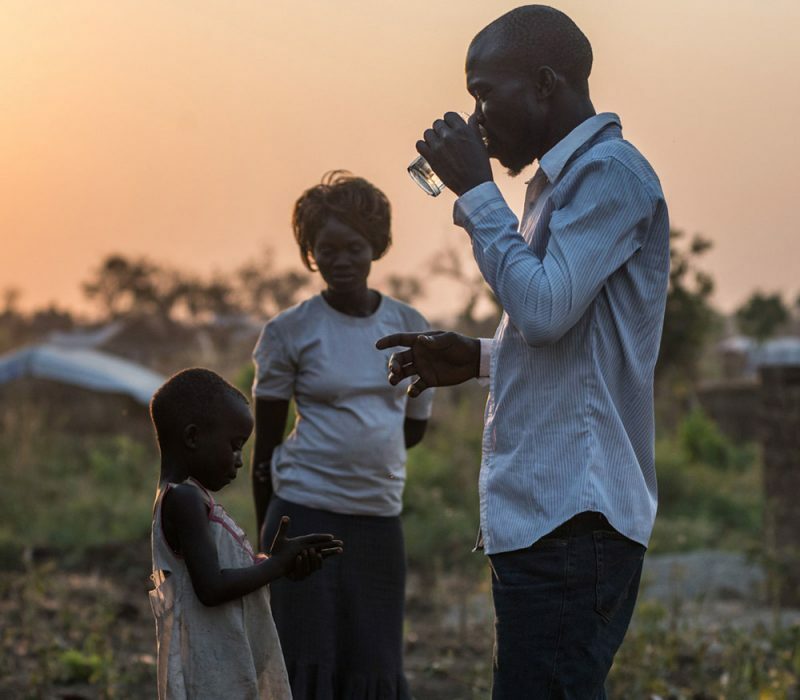 There are currently 1.83 million South Sudanese who, like Joseph and his family, have fled for their lives. “I don’t know when we’ll be able to go back to South Sudan,” reflects Joseph, holding his daughter tightly. 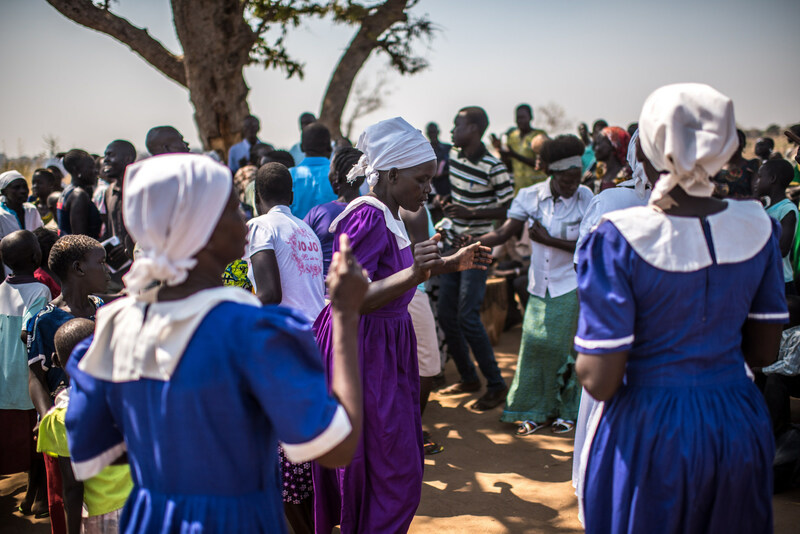 Seven months ago, Bidi Bidi was a quiet village in the grasslands of northern Uganda. 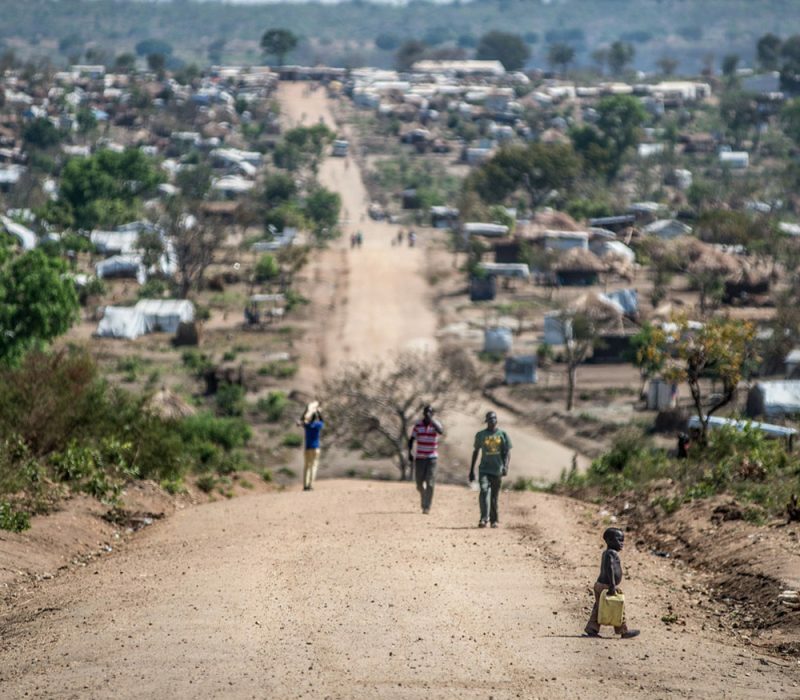 Now, with a population of over 272,000 for Bidi bidi alone, it is the second biggest refugee camp in the world. 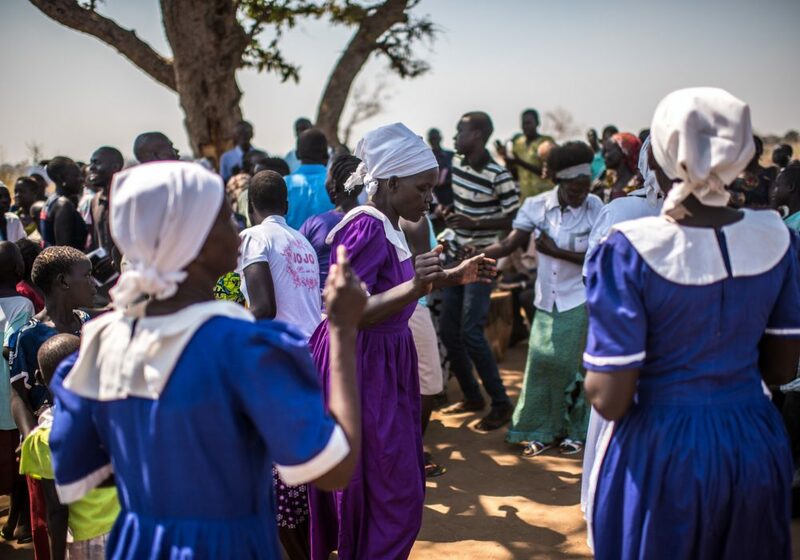 Caritas Uganda and other aid agencies have had to spring into action virtually overnight alongside the Ugandan government to care for the needs of this sudden huge influx of people. Caritas emergency teams were mobilised in record time. 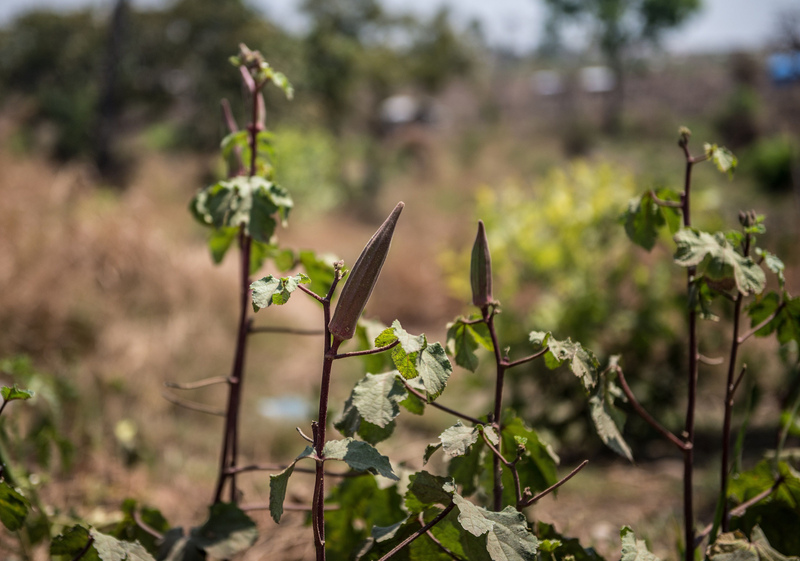 Within days of arriving at Bidi Bidi last October, Caritas teams had distributed 10,000 hand tools for farming and 10,000 tonnes of vegetable seeds. 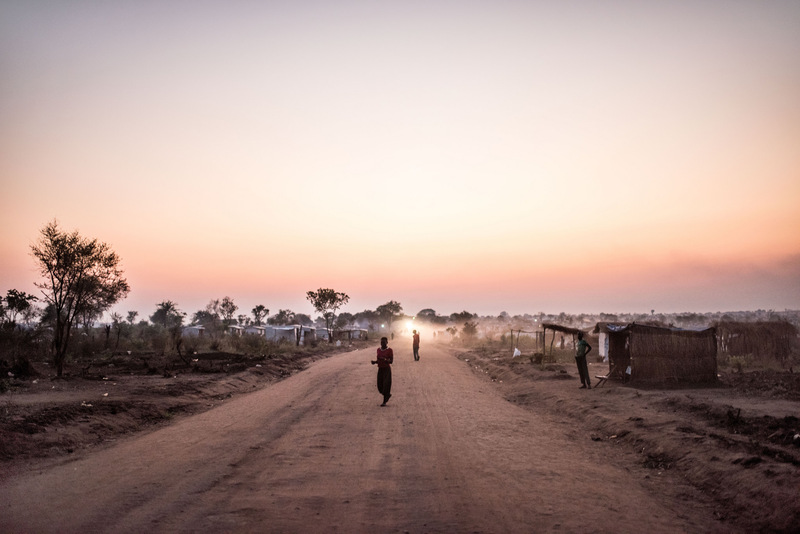 Help is currently reaching 3,600 refugee households, around 12,600 people, within the Caritas zone of the camp, and the agency would like to support many more. 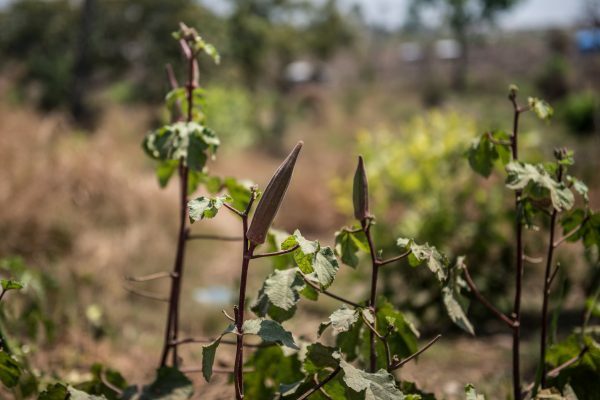 Critical needs that Caritas plans to address in addition to food security include mosquito nets to combat widespread malaria; sanitary pads; education around nutrition; and skills training to help new arrivals find long-term jobs. The fast response was, and is, essential. Refugees are still arriving non-stop at the border – currently over 1,500 a day, mostly on foot, tired and hungry, carrying children and sad bundles with a few household goods. A sobering tally being kept by UN personnel shows the total number of people crossing into Uganda each day: Tuesday 1st November, 5892; Wednesday 2 November, 4485. 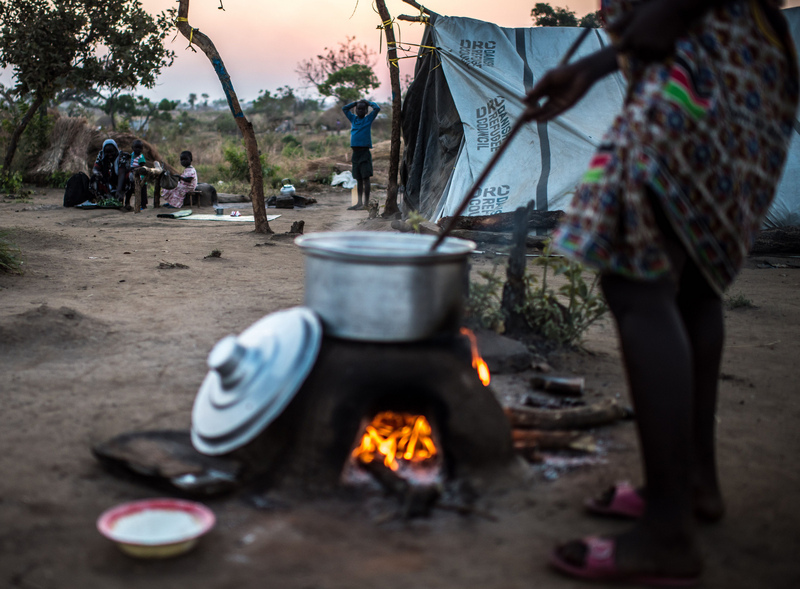 All fear for their lives, all have been forced to leave behind homes, crops, possessions. Many of the women and girls report having suffered sexual assault on the way. Too many have witnessed the death of family members and friends. “It’s much too dangerous to go home,” says Viola Tabo. 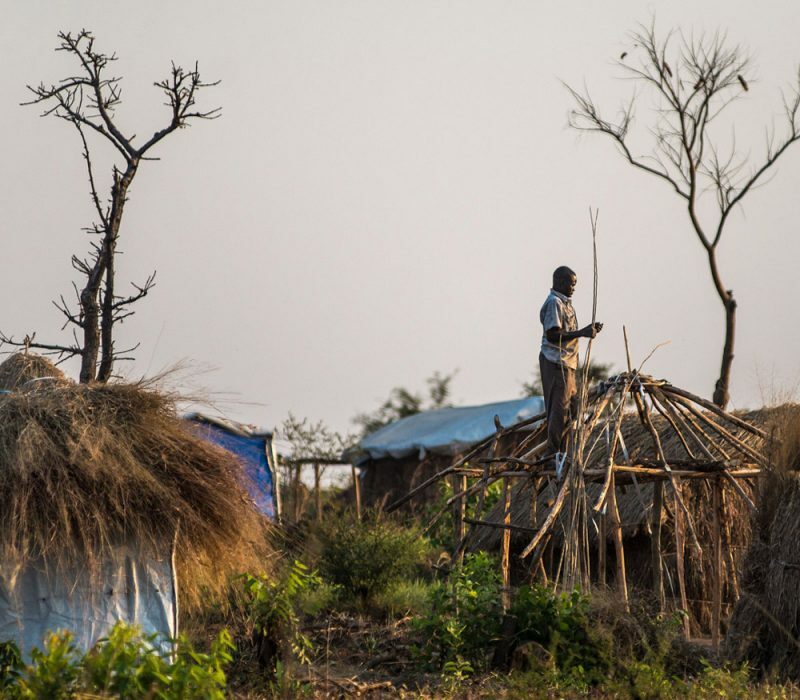 She was at home in South Sudan’s Loka village, in Lanya County, when soldiers arrived last September. She will never forget what happened next. Aged just 22, Viola took her five-year-old son Charles and made for the Ugandan border. She found her way to Bidi Bidi, and refuge. Her brave decision saved their lives. 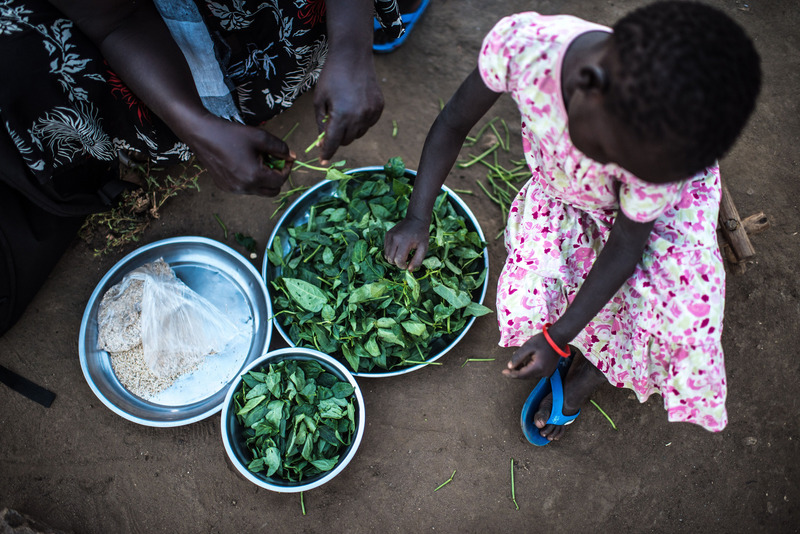 This January, eight more of her family were killed back in South Sudan. “It’s even worse than it was before,” says Viola. Her new country imploded into civil war in 2013. There is no end in sight to the suffering of its civilians. Like Viola, Joseph Malis describes how rapidly life has improved at Bidi Bidi camp since he first arrived. At first they received the most basic supplies, just some maize, beans and oil. He had a family to feed, and was concerned for their diet. 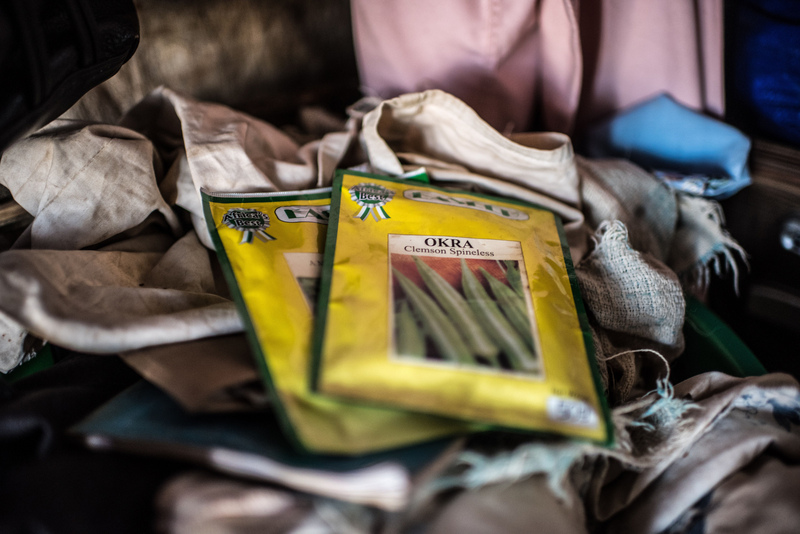 But since Caritas took over running his area of the camp, he is being given seeds to grow okra, amaranth and cow-peas. The family have already picked their first nutritious vegetables. “We needed a change in our diet,” he explains. “When the rest are ready for harvest, we will have enough to save some and sell it.” He plans to add tomatoes to his patch when the season is right, to boost the vitamin intake of his one-year-old daughter Flora. 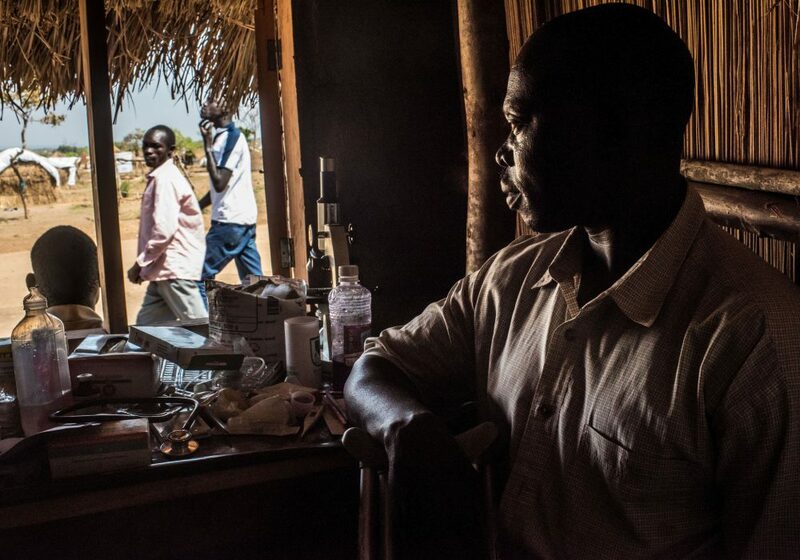 “We are surviving,” Joseph says, but the long-term future for his family is uncertain. Since the camp has long since overflowed, exceeding even the worst-case scenario forecasts, aid agencies and the Ugandan government have been racing to keep up with the pressure and malnutrition is still a serious problem especially for children under five. 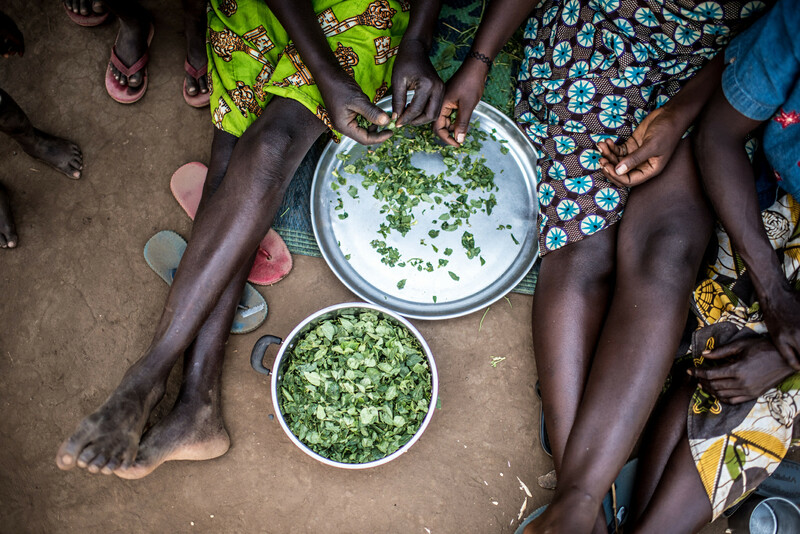 Currently all of the refugee families are in dire need of food assistance, most are eating only one meal a day. Much more support is needed, and will be for a long time ahead, hence the current appeal among Caritas members and the general public to scale up the number of people who can be reached. 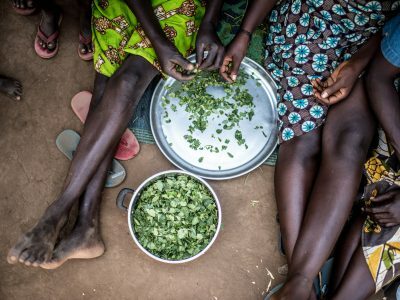 There was already little food security for local Ugandans before the refugees arrived, now the pressure on farmland and food supplies is intense. Drought and unreliable rainfall add to the difficulty. 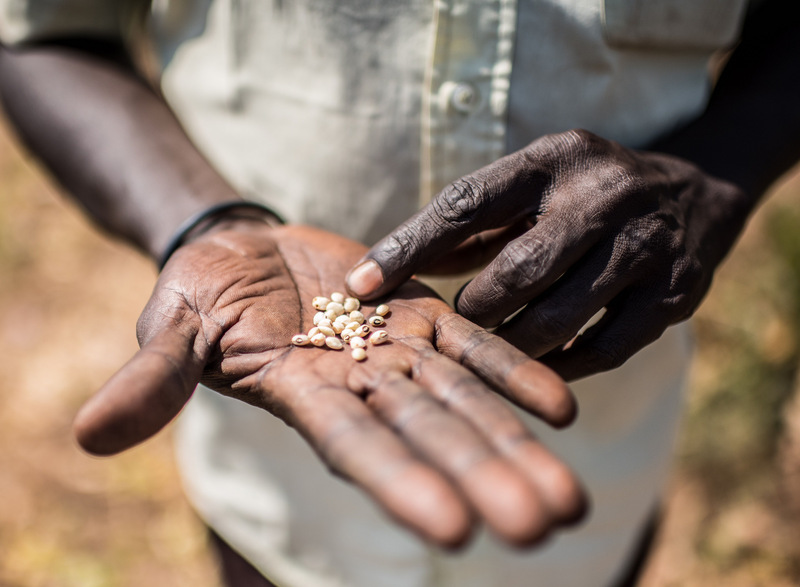 Around 60% of the host community is also suffering food insecurity. 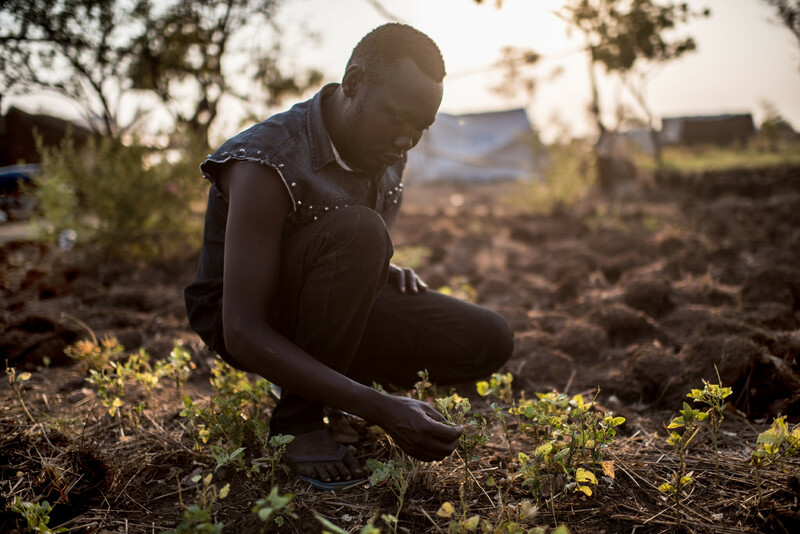 So Caritas is also supporting 900 Ugandan families alongside the refugees, not only with seeds and tools to kick-start the new season’s harvest but with training courses in good farming practice. 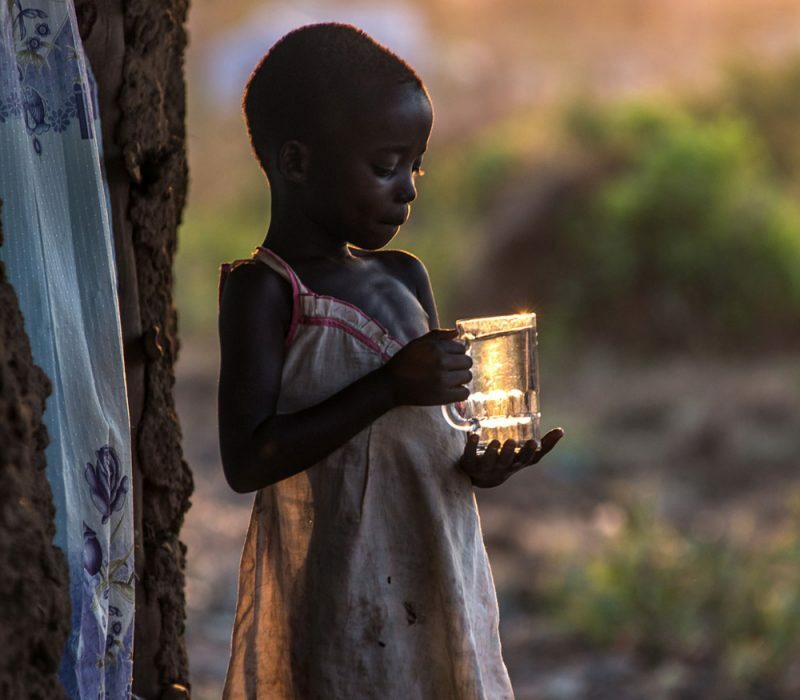 Caritas agencies from Europe and Japan are joining together to support Caritas Uganda in this urgent humanitarian challenge and plan to spend 405,000 euros in the coming year. We hope, along with David, that the new season’s harvest will be a good one, bringing both food and hope to the troubled inhabitants of Bidi Bidi.